The government is preparing to wet lease train for making the Janakpur-Jayanagar-Kurtha railway operational by January next year. The Department of Railways is weighing this option as the country lacks the technical know-how. Wet lease means the organisation that owns the train provides the locomotive as well as crew members to the lessee. The owner is also liable for maintenance and other arrangements necessary for the operations. “We don’t have the expertise in railway operation. Plus, there are other factors like loco-pilot, ticketing, maintenance, crew and railway management, which is why wet lease seems to be an appropriate option,” said Prakash Upadhyaya, senior divisional engineer at the DoR. He added that focus would also be on training Nepali personnel in railway operation along with the wet lease. Wet lease, however, is not the only option on the table as the DoR is also studying the possibility of purchasing a locomotive. The government has allocated Rs50 million for the purpose in the budget for the upcoming fiscal year. The DoR is most likely to purchase or wet lease a train from India for the broad-gauge railway line that the southern neighbour currently uses. Most of the countries including China use standard-gauge rail. A broad-gauge railway has a track broader than the 1,435mm standard-gauge railways. According to Upadhyaya, the 34-kilometre line will have diesel engines. 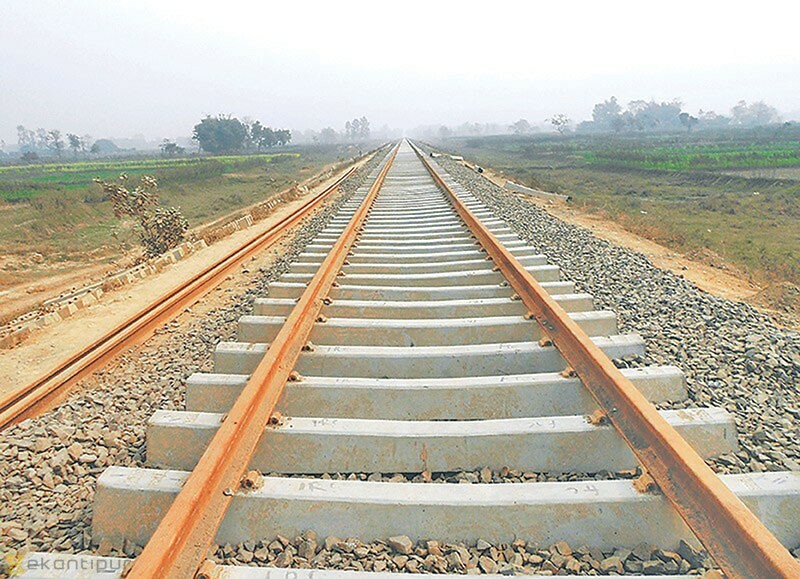 The broad-gauge railway project, being built at a cost of Rs8.8 billion with support from the Indian government, is divided into three segments. The first phase entails construction of a 34km segment between Jaynagar and Kurtha; the second phase concerns the 18km segment from Kurtha to Bhangaha of Mahottari district; and the third phase of work consists of construction of a 17km segment from Bhangaha to Bardibas of Mahottari. Of the total length, 3 km falls in the Indian territory. With the cross-border railway line nearing completion, the DoR calls for laws on time to govern commercial rail operations.